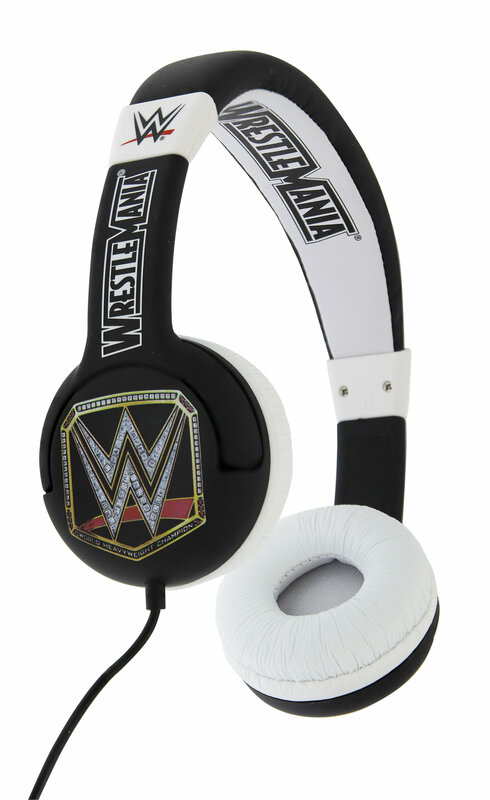 WWE "Championship Belt" themed headphones developed especially for small, delicate eardrums these headphones have been restricted to 85 decibels and have been tested/passed as suitable for children aged between 3-7 years. Adjustable padded headband with soft touch ear pads for comfort. Compatible with all devices using a 3.5mm universal jack (i.e. smartphones, tablets, laptops, etc. ).